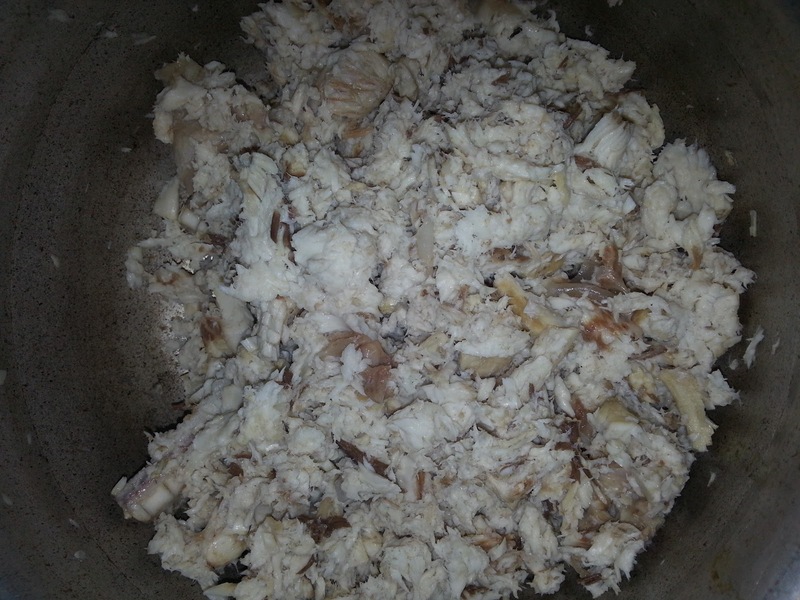 Boil the shark pieces in water till its soft and fluffy. Peel of the skin and scramble the fish with ur hands like below. 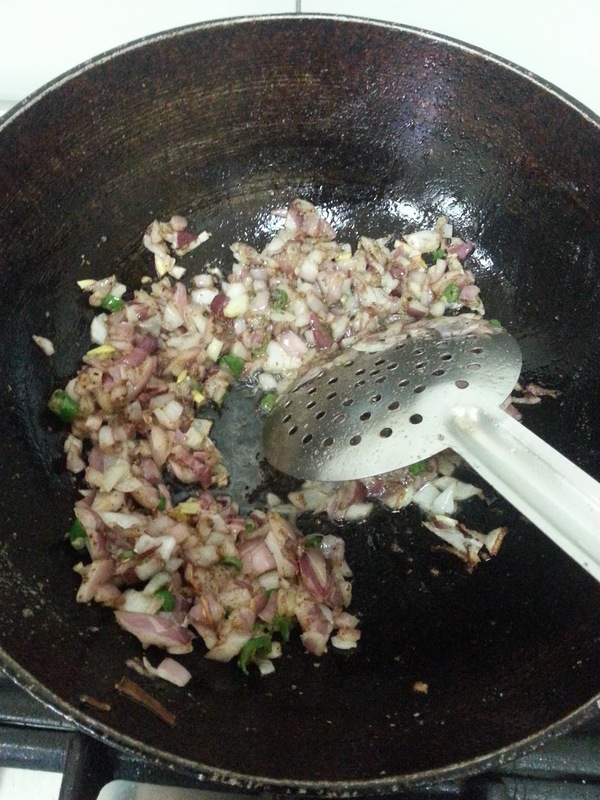 Add oil in a pan and fry the onion, ginger garlic paste and chilli in it with garam masala powder. Fry till the onions are cooked. 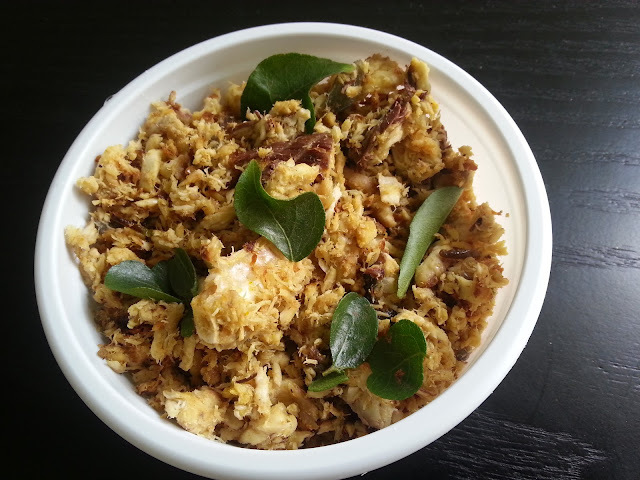 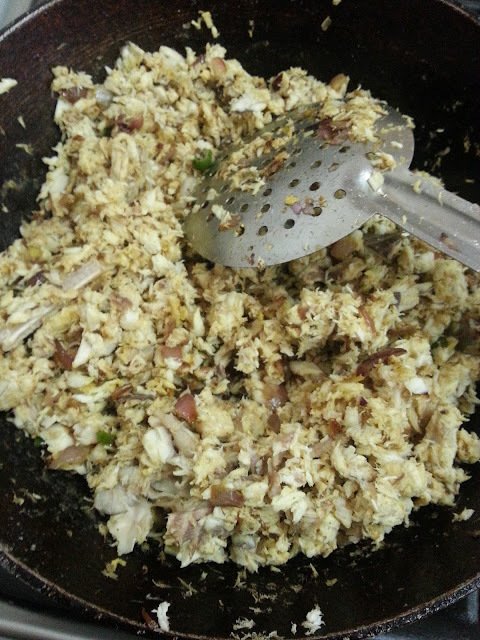 Add the scrambled shark, salt, chilli powder and turmeric powder to the onion mixture and mix well. Fry till the raw smell of chilli pow n turmeric powder goes.